This lesson will explain how to customize the allocation window times. Change fields to suit your needs, hit Save Changes once done. 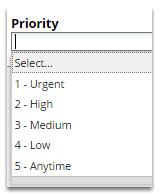 Priority - will affect the order in which the jobs appear in the list where a time isn't specified. Priority jobs will appear at the top of the list and Anytime jobs will appear at the bottom. You can also remove unwanted allocation windows by clicking the "Remove Allocation Window" button.